The Election Commission of Karnataka is preparing for next karnataka election. If you are living in Karnataka and want to know whether your name is in the electoral rolls check the voters id list by CEO, Karnataka. Here is the voters list for assembly constituencies as of 01-01-2018. Select your district and constituency to check your name in the new voters list. It also contains all the forms needed to add your name in the voters list. 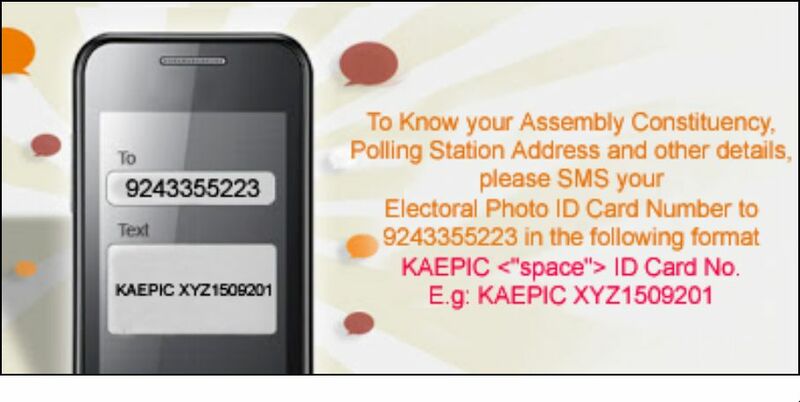 How to get voters id card? My name is misssing from voter list what should I do now?…..
My age is 21 but in voter list it is given as 23. What should I do to correct it?…..
Give your application to be included in the voters list. The website gives information about that. Sir, my name is not there in the list. My husband’s name(Basanagouda R Patil) is also not there. what i should do now. we have been residing in Janardhan Building, 5th cross, Kalyan nagar, T. Dasarahalli, Bangalore. We applied for the same but i didn’t find my name in the list. The final voters list is not yet finalised. There is a delay specially for Bangalore area. Did you stay in the same place when you applied? So look in the newpapers for announcements, they will give opporutunity to register your names. continue to visit this site, I will update on this site. My name Krishnaji H Patil is misssing from voter list what should I do now?�.. In the post you have the link to the website. voters id formalities. form and all. I want to check whether name is added in voter list or not in small city in karnataka. That is newly named district and small city by name Haveri-581110. when u people update this site for all districts? please what shall i do for this to get check name in voter list? Please let me know whether my name is in the voters list. I did not Recive My Voter ID and Ration Card.. My Address is as below.. I have applied for inclusion of my name in 164-Gandhinagar Constituency in December-2008, now want to know whether my name is added and if yes its Sl. No. please. I am not an official of Election Commission. So please check yourself the name and do the needed. You can read others posts, if you need help.